Ms. Ruvinskaya and Victoria Laschenko, the head nurse, provided the writer with information about the then-current census of Beit Baruch residents. Most were from Dnipropetrovsk and from other cities and towns in the eastern part of Ukraine, such as Zaporizhya, Kherson, Zhovti Vody, and Kharkiv; one resident was from Chernihiv, which is much closer to Kyiv than to Dnipropetrovsk. About 80 percent had some form of dementia, said Ms. Laschenko. In 2011, continued Ms. Laschenko, 23 new patients entered the facility, 11 left (most to join family in Israel or Germany), and 16 died. Only four of the original residents from 2002 remained. Beit Baruch was home to ten World War II veterans, she added. The poster at right was in the Beit Baruch day room at the time of the writer’s visit. The legend reads, “Grandmothers and grandfathers – Thank you for life”. Note the military tanks in the lower corners. 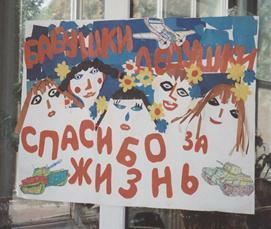 The poster commemorates [World War II] Victory Day (May 9) and was brought to Beit Baruch by day school students as part of Victory Day observance. Ms. Ruvinskaya stated that five nurses worked on shifts in the facility, assisted by 12 caregivers. Additionally, two physicians were in attendance. A psychologist and a fitness instructor were employed on a part-time basis. Beit Baruch residents also enjoyed arts and crafts classes and some sang in a choir. A new community medical clinic (see below), which is located on the ground floor of Beit Baruch, is providing great benefits to residents, said Ms. Ruvinskaya and Ms. Laschenko. Necessary travel to specialist physicians, an often arduous endeavor for frail elderly, is reduced in frequency as several such specialists now make regular visits to the clinic. Much of Beit Baruch philosophy and practice is based on guidance from geriatric specialists in Boston, particularly those affiliated with Hebrew Senior Life, the largest provider of elder care in the Boston metropolitan area. Founded in 1903, Hebrew Senior Life is affiliated with Harvard Medical School. Dr. Lewis Lifsitz, Professor of Medicine and Director of the Institute on Aging Research at Hebrew Senior Life, has made several extended visits to Dnipropetrovsk to advise Beit Baruch and several Dnipropetrovsk medical institutions on geriatric care. Dr. Lewis Lifsitz of Boston is a prominent geriatric care physician and frequent visitor to Dnipropetrovsk. Photo: http://madrc.mgh.harvard.edu/lewis-lipsitz-md. Retrieved September 14, 2012. 13. The Jewish Medical Center opened in February 2012 in ground floor premises of the Beit Baruch Assisted Living Facility. Although housed in its own wing of Beit Baruch, it is accessible from inside the residence without going outdoors. It also has its own separate outside entrance so that non-resident clients and staff may enter and leave without disturbing Beit Baruch. JMC fulfills a longtime goal of the Dnipropetrovsk Chabad community to provide high-quality medical services to the Jewish population at low cost. The clinic also is open to non-Jews and does not discriminate in the provision of care. Directed by Alexandr Rodinsky, a leading physician in Dnipropetrovsk, JMC is accredited to provide several types of medical services. The accreditation and licensing procedure is very complex, stated Dr. Rodinsky, due to multiple layers of Ukrainian bureaucracy. Notwithstanding the difficulty of obtaining these permits, JMC is now authorized to provide both geriatric and pediatric medical services. Both construction of the facility and provision of its modern furnishings and advanced medical technology were financed by local Jewish philanthropists. Friends and associates in Boston also have been instrumental in securing certain medical equipment. Local Jewish philanthropists support major ongoing operational expenses; most patients are asked to pay symbolic fees equal to 20 percent of market rates for the care that they receive. In addition to Dr. Rodinsky, two primary-care physicians and two nurses are on JMC staff. Dr. Rodinsky would like to expand the medical staff, but some well-qualified physicians, he said, are reluctant to commute to an outlying, low-income area of the city. In particular, he continued, he is finding it difficult to hire a good pediatrician. Dr. Alexandr Rodinsky, who is an early alumnus of the local Chabad day school, directs the new Jewish Medical Center in Dnipropetrovsk. JMC primary-care physicians refer patients to the best specialists in the city, all of whom are associated with first-rate hospitals and with the medical academy. Additionally, the Center boasts a sophisticated medical laboratory with advanced diagnostic equipment and highly qualified technicians. All professional personnel are well paid, thus reducing the likelihood of corruption. Further, all medical records are computerized, a rarity in Ukraine where most medical records are kept by hand in cumbersome registers. Efficient computerized records deter the common practice of overmedication in which physicians are compensated by local drug companies according to the amount of medicine prescribed. 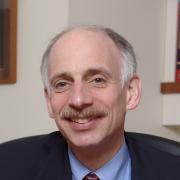 The focus in geriatric medicine, continued Dr. Rodinsky, is in general medical care for individuals over the age of 70. Dr. Lewis Lifsitz of Boston (see page 27) has been very helpful in defining the range of practice, said Dr. Rodinsky. JMC provides thorough physical examinations for all new Beit Baruch patients and cares for them throughout their residence, accepts referrals from the hesed (see page 24), and is available to Jewish and non-Jewish seniors from all areas of the city. It offers general internal medicine, diabetes management, high blood pressure treatment, and physical therapy protocols. In pediatric care, JMC provides general care and also works with the Special Needs Educational Resource Center to provide medical assistance for this group of children and young people; general pediatric clinics and hospitals often are unable/unwilling to address their needs, Dr. Rodinsky said. JMC also has prepared a booklet for parents on child illnesses, including symptoms that should prompt attention by a physician. In response to a question about patients from the surrounding district of the city, a low-income area in which few Jews live, Dr. Rodinsky said that about 25 percent of total JMC patients are from this neighborhood. He is somewhat surprised and disappointed by their low use of the facility, notwithstanding good signage in the district designed to attract new patients, especially seniors. However, he explained, it is a poor area of the city with few services – and some people simply are too beaten down to request a better level of healthcare. Their life experience has been bitter and their expectations are low; further, he added, the clinic staff knows that some local people are antisemitic and simply do not trust any institution managed by Jews. When the local economy improves, it is likely that the clinic will open another facility in the center of the city. In the meantime, said Zelig Brez, Executive Director of the Philanthropic Fund, the community operates a daily free shuttle service between the synagogue and clinic. An intermediate step in development of a full clinic, Mr. Brez continued, is the installation of a small medical office in a centrally-located community building that will take blood and urine samples to be transferred to the existing clinic for analysis. With the exception of a few small signs in the district where the clinic is located, the clinic does not advertise. It relies on word-of-mouth recommendations to attract new patients. 14. Adopt-A-Bubbe/Adopt-A-Zayde is an independent assistance program created by Dr. Judith Patkin, the Executive Director of Action for Post-Soviet Jewry in Waltham, MA. The Dnipropetrovsk organization supports elderly Jews in Dnipropetrovsk itself and in 18 additional cities or large towns and numerous smaller towns in eastern, central, and southern Ukraine. However, the total number of towns served has declined as Jewish populations in these villages have diminished to the point where service calls are economically prohibitive. At any given time, said Yan and Tanya Sidelkovsky, who direct AAB operations in the Dnipropetrovsk region, between 950 and 1,000 Jewish individuals are on their client list. Elderly people who die are replaced by younger pensioners; the younger pensioners may have greater needs because they do not receive the government pension bonuses and other government benefits (such as discounts on utility use) given to veterans of World War II. The program also supports some working-age Jews who are chronically ill or handicapped, as well as some Jewish families with young children in which the parents are unemployed. 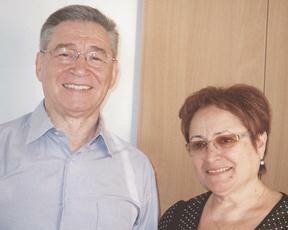 Yan and Tanya Sidelkovsky manage the Adopt-a-Bubbe program in Dnipropetrovsk and the surrounding region. Yan also is the chief representative of the Jewish Community Rela-tions Council of Greater Boston in Dnipro-petrovsk. See pages 33-34. Beit Baruch has a fitness studio on its lower level, which is equipped with various fitness apparatus. See pages 35-36 for an interview with Mr. Brez. 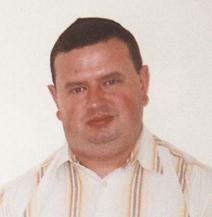 Yan Sidelkovsky also represents the Boston Jewish community in Dnipropetrovsk. See pages 48-49.